Why Coachman Auto Insurance? 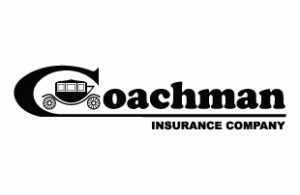 Coachman Auto insurance is an affordable and tailored auto coverage designed for each Canadian car owners like you to meet your needs and protect you and your family from devastating financial loss. As an Ontario driver, you're required by law to carry a minimum of $200,000 in liability insurance - but is it enough? Why Coachman Condo Insurance? Coachman insurance believe in the power of condo insurance to support you when you need it most. Coachman designed this Condominium Unit Owner’s Pak (Condo Pak) to help each Canadian like you to protect everything that matters to you. With this plan you are guaranteed that your belongings, back yard and other liabilities are well taking care of. Why Coachman House Insurance? Coachman insurance believe in the power of house insurance to support you when you need it most. Coachman designed this Home Pak products to help each Canadian like you to protect everything that matters to you. With this plan you are guaranteed that your house, back yard and other liabilities are well taking care of. Why Coachman Tenant Insurance? Coachman insurance believe in the power of tenant insurance to support you when you need it most. Coachman designed this Tenant Pak to help each Canadian like you to protect everything that matters to you. With this plan you are guaranteed that your belongings and other liabilities are well taking care of.